The “comfortable farming” program on Moffitts Farm is coping well with the extended dry season and high temperatures through summer. 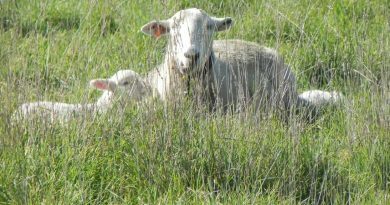 This summer active tall fescue pasture is the last paddock to be grazed in the Moffitts Farm post mid-spring rotation. It is fourteen weeks since the last graze and despite lack of rain and hot conditions up to mid January 2013 there is still a reasonable content of green leaves. The last eight months have been most unusual rainfall wise for much of south eastern Australia. Our three winter months were in the 70th percentile for rainfall, with close to 90 mm each month. Long-term average rainfall over these months in 66mm per month. September and October recorded half the average rainfall, while November and December have been in the 20th percentile for rainfall. So far up to 31 January 2013 there has been just 2 mm of rain. December and January have also had plenty of days above 30C and some days about 40C. 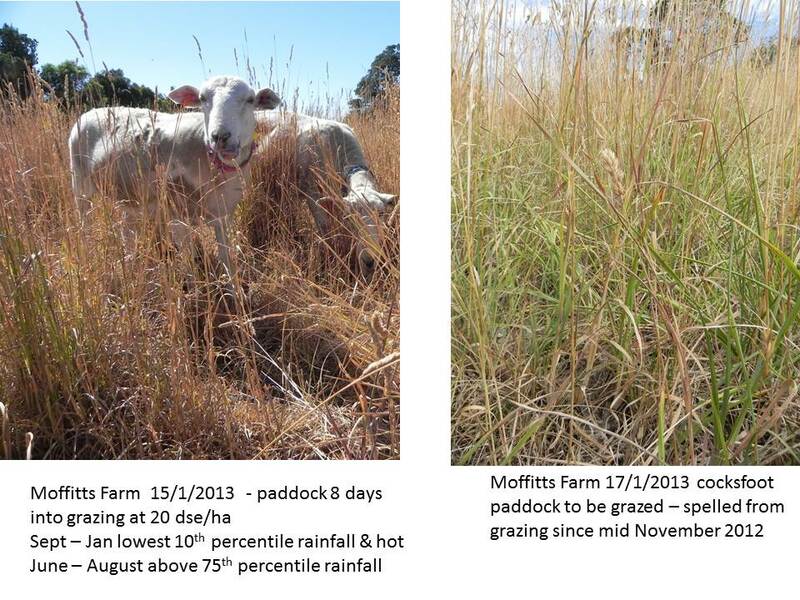 Total rainfall at Moffitts Farm for 2012 was 715 mm, just above the long-term average for Romsey of 708 mm. But seasonally there was nothing average about the rainfall. The most unusual feature of the summer is complete lack of thunderstorms prior to cool changes moving through. Even the drought years of 2008 and 2009 ended with significant thunderstorms in November and December respectively. This phenomenon is a new experience for Moffitts Farm summer active perennial grasses which have exploded with new growth after the thunderstorms. This summer these perennials have demonstrated their value by maintaining significant amounts of green leaf, and high quality dry leaves. With the livestock rotation coming to its last paddock since early November, cattle still have some green leaves to graze. Most of the steers will be sent for processing on 28 January, which will cut stocking rate by approximately 45%. The remaining cattle and Wiltipoll sheep are now rotating around dry pasture with a small amount of green pick. Fodder volume is starting about 4000 kg dry matter (DM) per hectare and is being grazed back to around 2500 kg dry matter before moving the stock on. 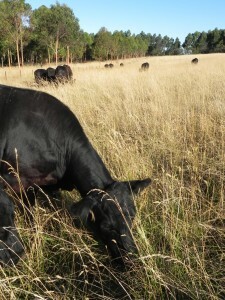 When speaking to Alan Lauder the author of “Carbon Grazing” about our pastures he pointed out that the large quantities of dry matter in the paddocks are critically important for a range of reasons affecting animal performance and soil health. 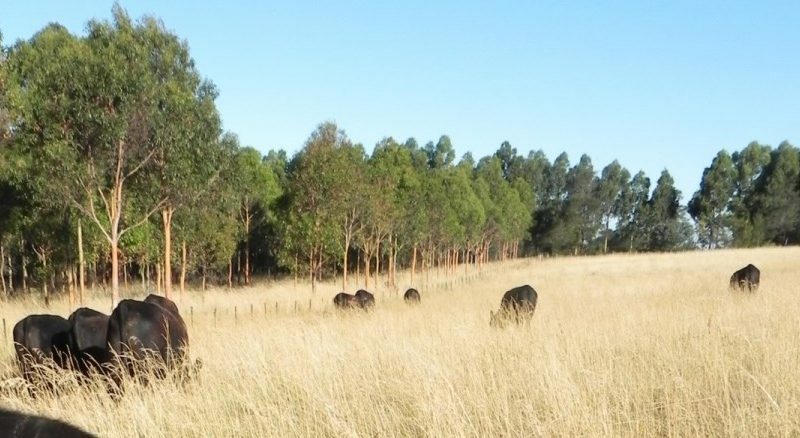 He contends bulky pastures like those on Moffitts Farm demonstrate a structural role of carbon, which is, shading the soil to protect soil moisture and the soil food web. This enables the perennial grasses to maintain some green pick. Where neighbors have a set stocked regime mostly associated with spring fodder conservation, there is now little ground cover left, around 600 kg dry matter per hectare and the plants and soil are being baked, there is no green pick. 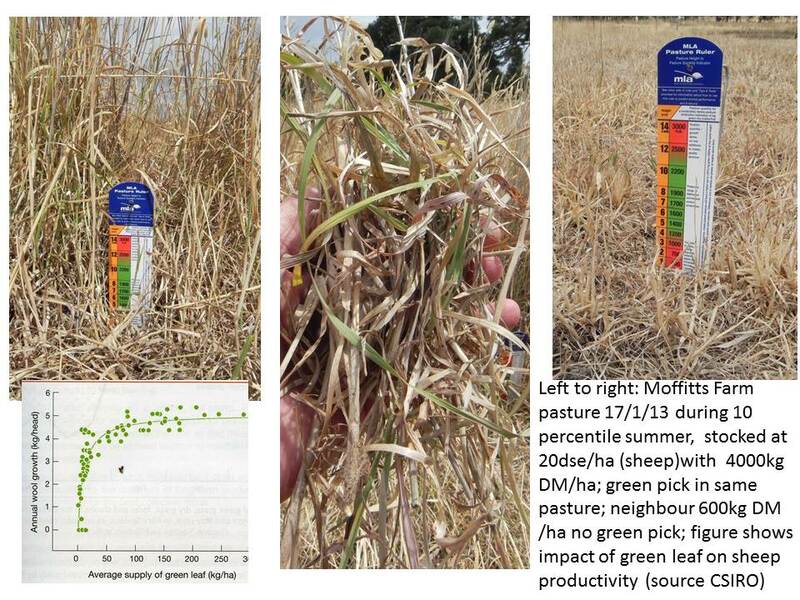 In his book Alan includes a figure from a CSIRO trial which demonstrates how sensitive ruminant animal performance is to supply of green pick in pasture, figure 1. 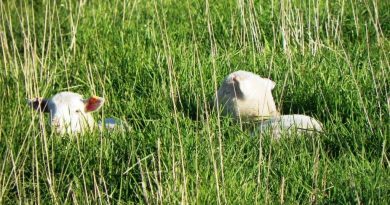 This shows that by supplying just a small amount of green leaf in the sheep diet (less than 25 kg dry matter equivalent per hectare) annual wool growth can be maintained. Alan says holistic grazing pastures are characterized by this green pick during hot dry conditions while those conventionally grazed and cut for hay and silage don’t. He also points out that holistic pastures have higher energy reserves to call on if some rain occurs and they will respond quickly. He raises an important point about understanding the role of labile carbon in farming systems. It is the labile carbon above and on the ground that is protecting the long term carbon (humus) stocks in the soil during this dry period. “It seems that a percentage of your carbon flows are residing as a long term stock of labile carbon. The shortage of rain lately means that each flow is remaining longer (because there is less moisture to break it down), albeit in a classified labile form.,” he said. 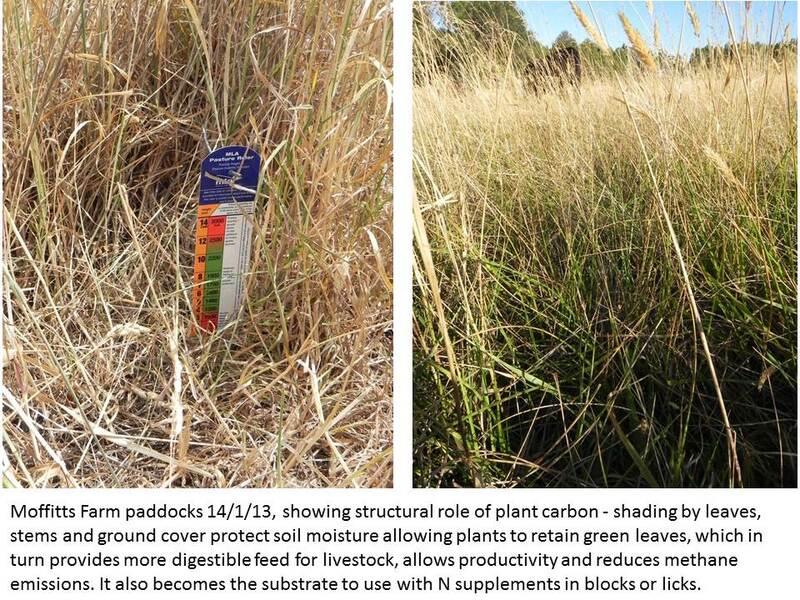 Another important point to remember about having large quantities of labile carbon in the form of pasture dry matter is that livestock then have the carbon substrate needed when providing nitrogen supplements in molasses and mineral mixtures. With our spring rotation about to end the amount of green pick in the next rotation is minimal so we are progressively introducing all livestock to molasses blocks containing nitrogen. This enables their rumen microorganisms to make better use of the carbon in the dry pasture. The rotation is continuing because despite lack of rain, the summer active perennials will have access to some soil moisture and produce green tips that should not be grazed frequently. Many people ask me about the fire threat from dry pastures. My response is that we take reasonable precautions to keep the threat as low as possible in the paddocks adjacent to farm buildings. 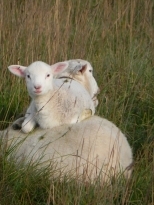 It is also useful to have a low fuel paddock as a livestock refuge. These areas are set up with strategic grazing as well as some pasture slashing in late spring.